Shamrock Hills Golf Club is a Lee's Summit golf facility that lies on 170 acres of scenic land. The course gives the golfer a feeling that is not found anywhere else in the country. The course features challenging holes, including water hazards and rolling hills. The course measures 6,363 yards from the Men's tees with a par of 71 and 5,166 yards from the Women's tees with a par of 73. Conveniently located in the southern portion of Lee's Summit, Missouri, Shamrock Hills Golf Club was established in 1961 by a group of four families from Harrisonville. Construction of our Lee's Summit golf course was completed in 1960 by founder/architect Jim Weaver. The same four families maintain ownership today, more than 50 years later. Prepare yourself for an unparalleled golfing experience. Our Lee's Summit golf course is a pleasure for golfers of any skill level to play. The Shamrock Hills Golf Club will challenge you while providing a relaxing, picturesque backdrop. Test your accuracy with our fairways, water hazards and sand traps; we have everything you need to challenge you and improve your game. All in all, our goal is to provide you with a quality experience that includes exceptional service and a comfortable atmosphere. Shamrock Hills Golf Club offers the best in equipment and apparel to compliment your golf game. Stop by our fully-stocked Lee's Summit golf Pro Shop before or after your round and browse through name brands. Our friendly staff will help you make start times, rent golf carts, sign up for club storage, and register you and your guests before each round of golf. 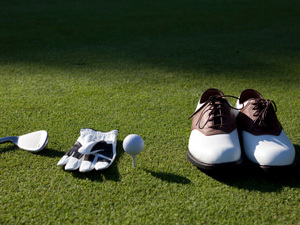 An excellent selection of golf clubs and related merchandise are sold in the golf shop and golf lessons are available. Contact the Pro Shop for assistance, or to make an appointment for lessons. Shamrock Hills Golf Club offers chipping and putting areas, and is the perfect place to improve your short game. 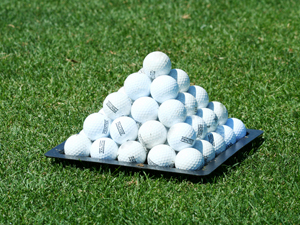 Shamrock Hills Golf Club is also equipped with a driving range and professional golf staff available for lessons. What better way to take your game to the next level this year? Make time to perfect your swing and improve your golf game today. Just contact our pro shop to speak with our professional staff and schedule your lesson. 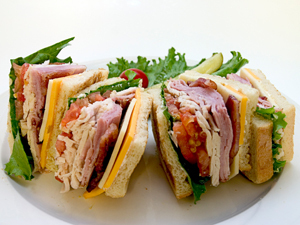 The bar & grill is the perfect way to end your round at Shamrock Hills Golf Club. Unwind with your favorite beverage from our fully stocked bar while you relax enjoying the natural surroundings. The bar & grill is open daily from 9:00am to 30 minutes after sunset.